David G. Wonders returns to help celebrate Natchitoches’ Tri-Centennial Celebration and Natchitoches Christmas Season at Turn on the Holidays on Saturday, November 23, 2013. David G. Wonders, presented by Tract & Friends, will be featured in the Cane River Green Market from 8:00 a.m. until noon with his acclaimed Bodacious Balloon Art. Sculptures are often larger than the recipient. Balloon art is FREE of charge to all festival guests, and adults need not be accompanied by a child to get a sculpture. 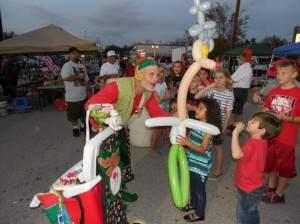 David Wonders was the residential balloon artist for the Delta Downs Casino in Vinton, LA for 3 years. 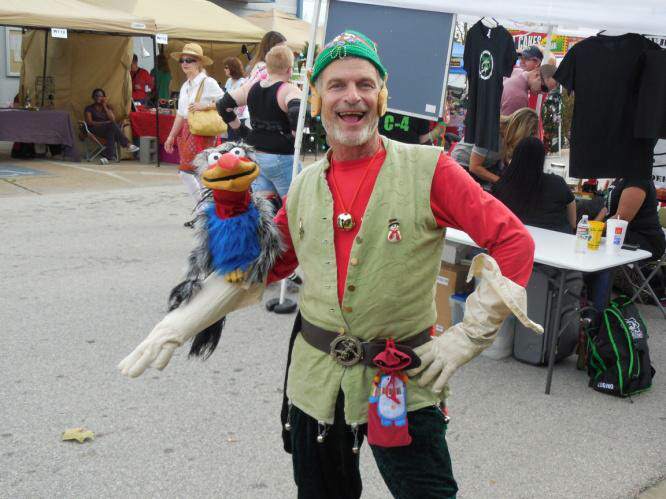 At 1:00 p.m., David and his silly sidekick, Billy Bird, will walk about visiting and taking pictures with guests. 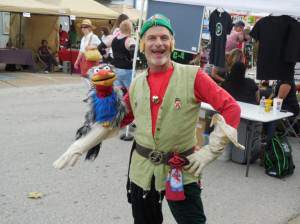 At 2:00 p.m., David will put on a Magic Show on the riverbank stage. After the show, he will conclude the day with more of his Bodacious Balloon Art. David G. Wonders is a feature of fairs and festivals all over Texas, Oklahoma, Louisiana, Arkansas and New Mexico. Tract the Clown and Friends began as an outgrowth of a children’s church ministry in 1979. David and his wife, Linda, are still active in the Child Evangelist Fellowship; specializing in the ministry at the East Texas Fair for over 30 years. David Wonders was created because “ not everyone loves a clown” and of the emphasis on secular education. David Wonders entertained troops with comedy and magic for 18 months in Kandahar, Afghanistan as a part of Operation Enduring Freedom during which he received two awards in recognition of his service. Other projects included teaching magic as therapy with David Copperfield’s Project Magic. David was first residential artist for Tyler, Texas Young Audience Association when he wrote a Circus Celebration and Science Can Look Like Magic and “Don’t Be Scared, Be Prepared” for the American Red Cross. The Reading is Magic is written annually to accommodate returning clients; expressly for schools and libraries to encourage reading and making positive choices; making its debut as part of a Red Ribbon Campaign. “Our students really enjoyed his show… It taught our students valuable lessons, Thanks,” Arlene Bergner, counselor at Birdwell Elementary, Tyler, Texas. David or Linda may be contacted at home/office: 903-882-4691 Cell: 903-312-1363. Website: www.tractandfriends.com or email: david@tractandfriends.com.